Eastwell St Mary was taken on by the Friends in 1980. It is a scheduled ancient monument (Kent, no: 381). 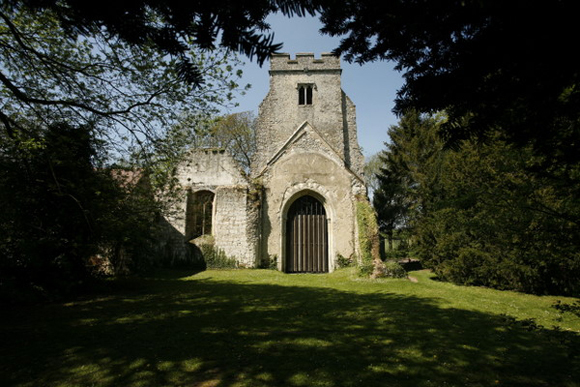 The church is a ruin except for the fifteenth century tower and the nineteenth century SW Chapel which used to contain the monument to the Countess of Winchilsea (sic) shown above in the slide show, which has been rehoused in the Victoria and Albert Museum. There is a memorial to Richard Plantagenet in the churchyard. The Friends have replaced the ugly brick infill designed to keep out vandals with a durable iron screen designed by Charles Normandale. There is no internal access to the church.